Australia's Most Awarded Mercedes-Benz Retailer proudly presents this Certified low kilometre C200 Coupe featuring Fully-Factory-Backed Warranty right through to November 2022! 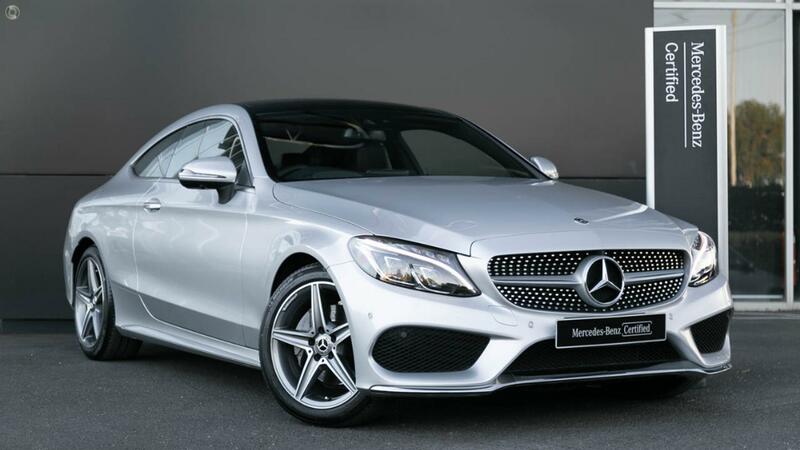 Very highly specified and perfectly presented in sparkling Iridium Silver Metallic over soft Anthracite Leather with Heated Front Seats, Vision Package with Head-Up Display, Panoramic Glass Sunroof, AMG Bodystyling and AMG 18" Light Alloy Wheels to round out the perfect specification. Take the wheel of your gorgeous Mercedes-Benz C200 Coupe with absolute confidence - ONLY from a Certified Mercedes-Benz expert and the reigning "Mercedes-Benz Metropolitan Retailer of the Year" again, for the 5th time in 6 years! - Panoramic glass sliding sunroof with electric roller sunblind.